As the global economy slowly begins to recover, the global housing market is also showing signs of recovery. Many people are choosing to invest their hard-earned money in a new home and are more willing to invest more in purchasing a property than they were previously. That said, it is still very important to properly prepare a property and stage the home in order to increase not only its value but also the likelihood of its selling for the desired price. Prepping a home to debut on the real estate market means cleaning it like it has never been cleaned before. As prospective buyers move through the home, envisioning their future there, the last thing anyone wants them to see is dust, dirt and cobwebs. If necessary, a professional cleaning crew can be brought in to clean the house from top to bottom. If the owner has lived in the home for any length of time, there will be clutter and personal items throughout. De-cluttering is the next step. An organized home looks much more spacious and clean. It is best to pare-down furniture and accessories by as much as half. Then take a hard look at the remaining accessories and accents and remove anything personal, such as photos trophies, diplomas and certificates, as well as any other personal effects throughout. Doing this may seem harsh, but prospective buyers need to see themselves and their lives fitting into this new space, which would be difficult if the room was full of family photos, ornaments and trinkets. Prospective buyers want to know that they are getting their money’s worth when they invest in a property. 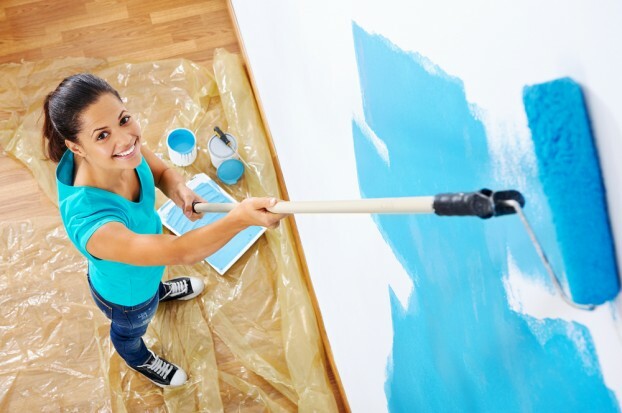 While full-blown renovations may not be in the budget, there are smaller improvements that may be made that can add a great deal of value and appeal to a home for minimal cost. Fresh paint is one of the quickest and simplest ways to liven-up an interior space. In general, large spaces benefit from having a warm, neutral tone on the wall; anything from warm tans and honeys to soft blue-greens can help to tone down dated finishes. To make a room feel more cozy, dramatic and intimate, choose a deep tone for the walls. Window treatments are another area that has a huge impact on the overall look and feel of a home. They can reflect luxury and richness in the form of generous draperies, or simplicity and charm as café curtains or custom shutters. When selecting window treatments for the home, try to ensure that they do not date the room too much. Try to create a feeling in the room without locking it into a particularly style. Sprucing up the exterior of the home is vitally important when trying to sell. Here is the place to invest in major improvements if necessary, such as replacing windows, landscaping and even extending the property. The outside should be thoroughly cleaned, including the driveway and sidewalk; the lawn re-sodded if needed and kept trimmed and watered; trees and bushes trimmed neatly. Fresh paint on the exterior and a well-maintained roof will also increase home value when selling.